Osteoarthritis is among the leading causes of disability in the United States, costing billions of dollars each year in lost work hours, treatments, and doctor visits, and leaving people sidelined from day-to-day activities. That problem is mirrored and amplified in the military, a unique segment of the population that relies heavily on physical fitness and ability. “OA is the leading cause of disability discharge from the military,” said Kenneth Cameron, PhD, MPH, ATC, FNATA, director of Orthopaedic Research at Keller Army Community Hospital, West Point, NY. Indeed, the lower limb and particularly the knee account for more than 75% of military-related musculoskeletal injuries. The armed forces are particularly affected by osteoarthritis, and disease often strikes soldiers earlier than it would civilians. However, management and treatment are hampered by the same information gaps as in the general OA population. Despite the urgency of the problem, which increases daily due to multiple deployments, research focused on military-specific osteoarthritis remains underfunded—even though successes in that sphere could translate out into the civilian population. For comparison, the way posttraumatic OA is managed today would be like identifying patients with hypertension and saying that they don’t need to come back until they have a heart attack—that is, without intermediary treatment. There are no intermediary treatments for OA. Between 1999 and 2008, 108,266 cases of physician-diagnosed osteoarthritis were documented in the Defense Medical Surveillance System,1 which collects health-care data in the military. Just as in the civilian population, the rate of OA increases as service members get older, according to an analysis published in Arthritis & Rheumatology in 2011,1 and enlisted service members, who have more physically demanding positions, were at a higher risk of the condition. Overall, the military had nearly twice the incidence of OA compared with the general population, making OA a potential threat to military readiness. The physical requirements of military service likely contribute to the high rate of OA, said Michael Langworthy, MD, US Navy Reserve Captain and chief of orthopedic surgery and sports medicine at Southcoast Health in New England. Service members face stringent fitness requirements, so obesity and carrying excess body weight—a well-known risk factor for OA3—is not generally a concern. “But the average sailor deploys wearing body armor,” Langworthy said. “That can weigh anywhere from 70 to 100 pounds.” That load, he said, puts pressure on the joints in the lower body, similar to what obesity does. 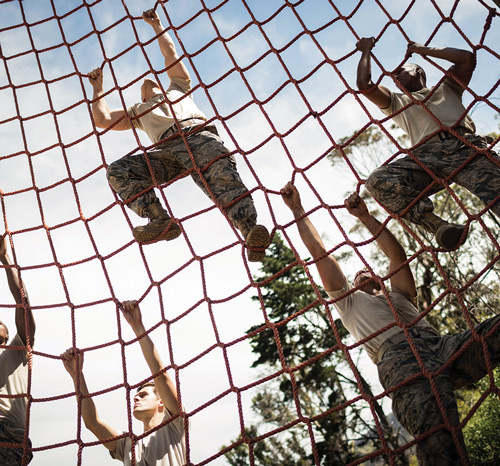 The training, running, jumping, climbing, and other activities asked of soldiers also strain joints. Former football players, noted Anthony Johnson, MD, FAOA, FACS, Orthopedic Sports Medicine Clinical Director at the University of Texas Health Austin’s Musculoskeletal Institute, have a similarly high rate of OA for that reason. “It’s a collision sport and, like the military, there’s a lot of jumping, carrying things, short runs,” he said. Nearly all cases of posttraumatic OA could be linked directly back to a battlefield injury, and joint damage progressed rapidly to disability in injured soldiers. “There was an average of 19 months from injury to when they were no longer fit for service,” said Johnson, who was a coauthor of the study. An injury on the battlefield, then, has a high risk of sidelining soldiers quickly, during the time when they might still be otherwise able to be actively serving. Intervening to prevent or treat OA more effectively means that the armed forces can continue to employ and rely on more people who they’ve spent money and time training, Cameron said. “And they can continue to do the job that they want to be doing,” he said. 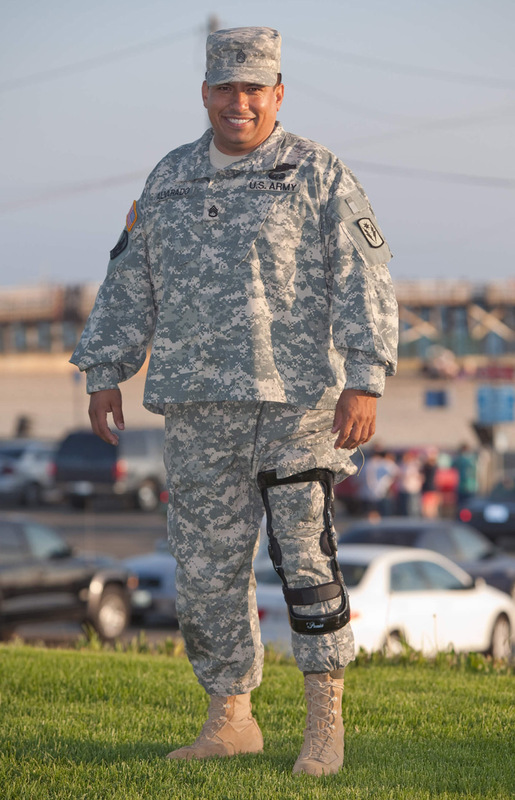 Heavy loads, such as body armor, heavy boots, backpacks, and weapons, affect movements of the knee in military service members, and might contribute to injury risk or osteoarthritis (OA), according to several studies represented at the recent 41st Annual Meeting of the American Society for Biomechanics. Carrying a medium or heavy load (defined as 15% and 30% of bodyweight, respectively) affected knee-joint movements of male soldiers during a run-to-walk task but not during a walk-to-run task.1 The deceleration from run-to-walk caused soldiers who were wearing medium or heavy loads to exhibit significantly increased knee abduction and internal rotation, which might increase risk of injury and knee instability. The authors called for additional research to identify biomechanical strategies that might help soldiers avoid risky movement patterns and protect against injury during deceleration. 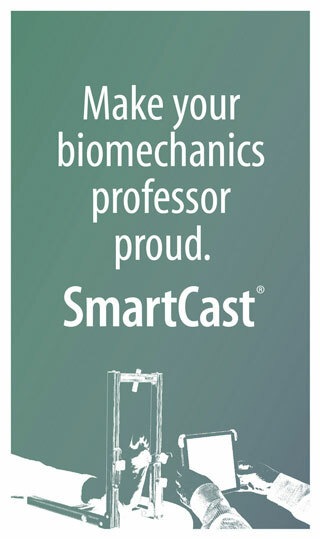 Exhibiting varus thrust, a biomechanical feature in which the knee bows out laterally during the weight-bearing portion of a step, puts people at increased risk of knee OA. Adding weight burden, which also increases risk of knee OA, to soldiers with this walking pattern is therefore a potential concern. However, in research discussed at the 2017 American Society for Biomechanics annual meeting, and subsequently published in the Journal of Biomechanics,2 adding a body-borne load actually reduced thrust in 9 military personnel who presented with it initially (one half the study sample). 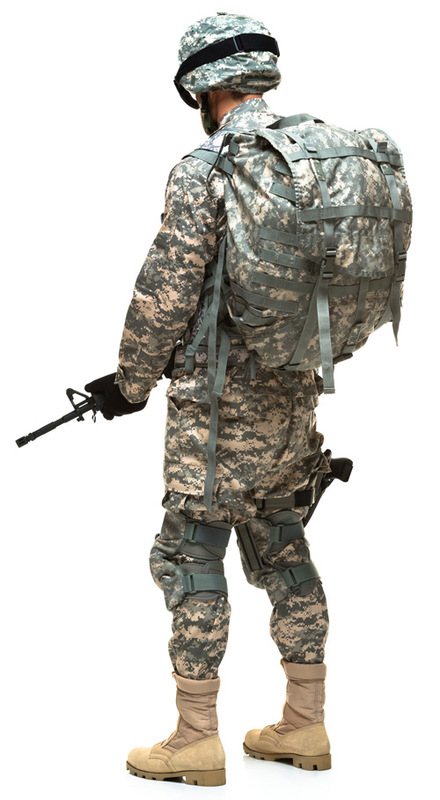 Nine military personnel without vagus thrust, however, adopted a walking pattern that were related to risk of OA, such as thrust and knee abduction, when carrying a load. Current research underscores the complex relationship between added load and changes in biomechanics, particularly in the knee. Authors on both studies1,2 stressed the need to develop intervention strategies that might reduce movement patterns linked to the development of osteoarthritis for service members. Cameron, SE, Kaplan JT, and Brown T, Ramsay JW. Changes in knee kinetics are required for deceleration with body borne load (Abstract 009A). Presented at the 41st Annual Meeting of the American Society for Biomechanics, Boulder, Colorado, August 8-11, 2017. www.asbweb.org/conferences/2017/abstracts/ASB2017_Abstracts.pdf. Accessed June 20, 2018. Brown TN, Kaplan JT, Cameron SE, Seymore KD, Ramsay JW. Individuals with varus thrust do not increase knee adduction when running with body borne load. J Biomech. 2018;69:97-102. Treating OA in the military is no different than the challenge facing civilian clinicians. There simply aren’t many treatment options for OA outside pain management and, eventually, joint replacement. However, identifying joint problems early is still a major challenge. Even if interventions were to come online, Cameron said, they’d be useless without a way to measure joint health and track the progression of OA as it’s developing, not just once it has become a problem. “Research needs to be focusing on how to identify people earlier in the progression of the disease,” he said. That’s particularly important for posttraumatic OA. At this point, Cameron said, there’s an enormous time gap between an injury such as an ACL tear and development of OA, in regard to making contact with a physician. “Right now, if you tear your ACL, you’re treated, and in 6 or 9 months you’re free to go. But we know that you’re at a very high risk for OA, and it will probably happen within 10 years,” Cameron said. The way physicians manage posttraumatic OA today, he explained, would be like taking people with hypertension, who are at an increased risk of heart attack, and saying that they don’t need to come back in until they’re actually having a heart attack—without providing intermediary treatment. 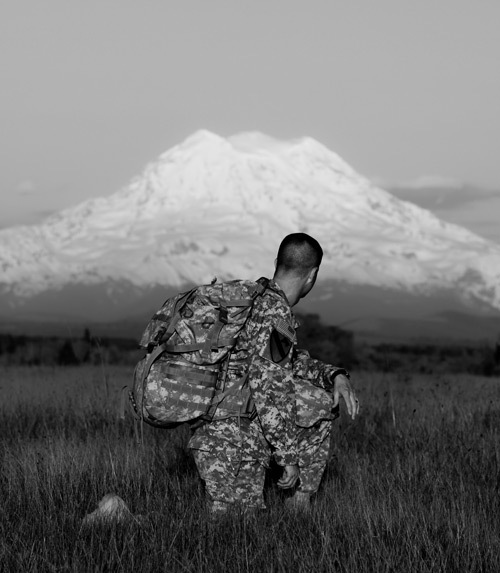 Because the military has robust injury tracking and oversight capacity, it might be particularly well-suited to investigate questions around the progression of posttraumatic OA. The military population, where OA is known to appear earlier, also provides an opportunity to observe the disease in younger service members and allows researchers to understand the way OA manifests and should be managed in that group, Langworthy said. Although the military is well aware of the problem OA poses to military readiness and has a ready and well-documented population for research, funding dollars from the US Department of Defense for studies on the armed forces are often scarce. Department of Defense funding is distributed by Congress, and the pot of money is open to all researchers—not divided by disease. Cameron KL, Hsiao MS, Owens BD, Burks R, Svodoba SJ. Incidence of physician-diagnosed osteoarthritis among active duty United States military service members. Arthritis Rheum. 2011;63(10):2974-2982. Dominick KL, Golightly YM, Jackson GL. Arthritis prevalence and symptoms among US non-veterans, veterans, and veterans receiving Department of Veterans Affairs Healthcare. J Rheumatol. 2006;33(2):348-354. King LK, March L, Anandacoomarasamy A. Obesity & osteoarthritis. Indian J Med Res. 2013;138:185-193. Rivera JC, Wenke JC, Buckwalter JA, Ficke JR, Johnson AE. Posttraumatic osteoarthritis caused by battlefield injuries: the primary source of disability in warriors. J Am Acad Orthop Surg. 2012;20(Suppl 1):64-69. April 27, 2018 Navigating disruption in the foot orthotics landscape—Are you ready? One Response to The lower limb and knee account for >75% of musculoskeletal injuries in today’s military. Anderson et al, “Musculoskeletal Lower Limb Injury Risk in Army Populations,” Sports Med Open, 2016 Dec; 2: 22. Previous studies has been done at different times with various populations in multiple training environments. Single variable research tends to be somewhat self-limiting. Bones, for example, will generally do better with sufficient calcium and D, but within possible constraints (a ceiling effect) if inadequate protein, iron, and B vitamins, et al. “Sufficient” being difficult to quantify by dose vs actual serum levels (Wagner et al). The tendency is to focus on one variable, not the gestalt, so ‘mechanical’ variable research and nutrition research are rarely integrated. Researchers have documented high rates of entry osteopenia, iron deficiency, etc. and significant multiple nutrient deficiencies that worsen with the military diet. Rivero documented very high rates of osteopenia in injured Navy recruits. Lappe demonstrated reducing stress fractures by 20% with extra calcium & D (but fixed doses). Lappe also demonstrated high osteopenia rates in Army entry females. The NASA bone research highlights that it is the integration of well designed exercise and complete nutrition that strengthens bones (a living adaptive protein-mineral-fat matrix that makes a variety of cells). Meanwhile the Army re-injury rate is 350% (USARIEM). How are injuries treated? 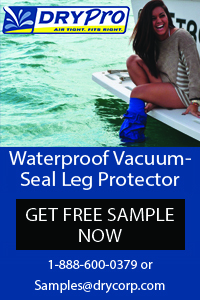 Hewett, for example, successfully treated and prevented ACL injuries by re-balancing leg muscles. 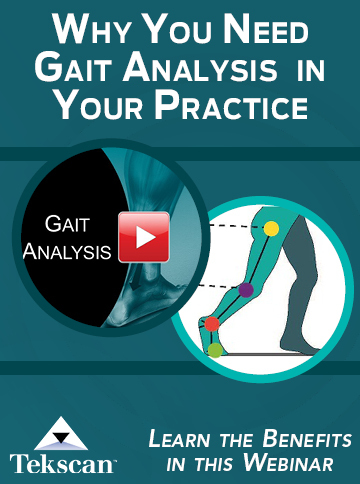 Or Short demonstrated preventing FNF by spotting a rocking gait early (FNF injuries result in a lifetime of care). In short, organic chemistry means organic, holistic solutions are needed. And maybe, specialty field boundaries are too narrow.